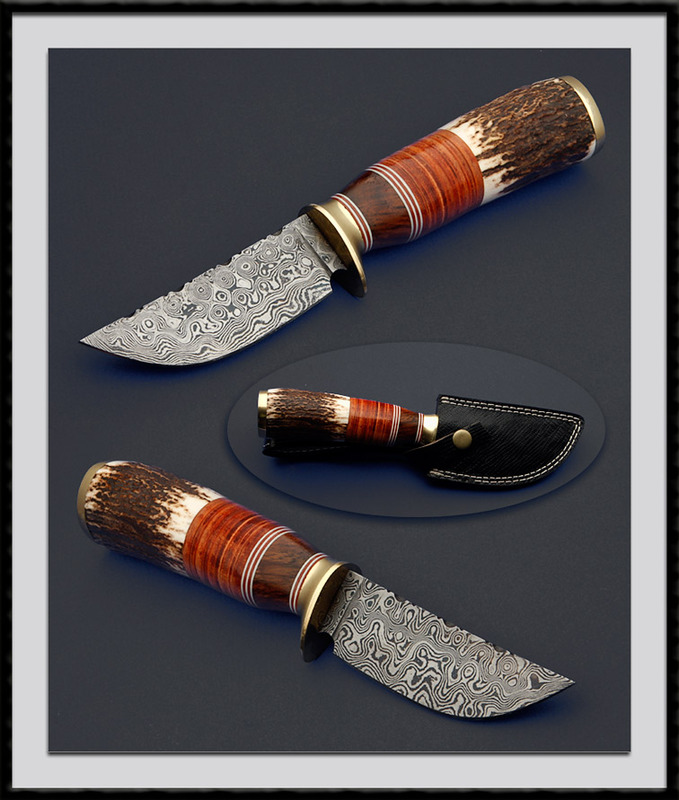 A. C. Michaels crafted this Hunter, BL = 4”, OAL = 9 1/8", makers Damascus blade steel, Brass fittings, Stag handle accented stack leather & Ironwood spacers. Condition is New. Comes with the pictured leather sheath. Direct from the makers shop. A. C. Michaels is a new maker and this is one of his first efforts. I think you'll agree he has a promising future. Because of this the pricing reflects a discounted price.